S. Fleming, ‘The Enduring Fragment: the “Temple Garden” at Gunnersbury Park in the 19th Century’, The London Gardener (vol. vii: 54-66); S. Fleming, ‘David Garrick: His Garden at Hampton and the Cult of Shakespeare’, The London Gardener (vol. viii: 51-71); G. Hughes, ‘An archaeological excavation and survey at the Shell House, Cilwendeg in Pembrokeshire’, Gerddi : Journal of the Welsh Historic Gardens Trust (2006: 38-44); J. Martin-Robinson, ‘Rebirth of Shakespeare’s Temple’, Country Life (February 10th 2000, 48-51); P. Cleveland-Peck, ‘House of Shells’, Country Life (December 21/28 2006, 54-55); R. Wall, ‘Cockles and Conches’, Heritage in Wales (Summer 2006, no. 34, 7-10); S. Fleming, 'Frederick as Apollo at Vauxhall: A "Patriot" Project? ', The London Gardener (vol. xiii: 46-66). 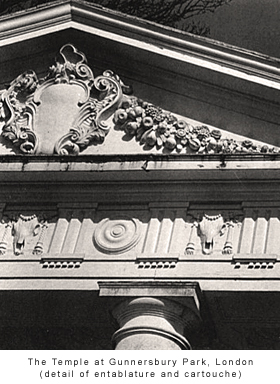 The Temple Trust endeavours to save historic buildings at risk for the benefit of the nation and the public at large. These structures are mostly the ornaments of an historic garden or landscape and as such have not provided the Trust with any capital return or rental revenue. For this reason, our projects have been eligible for site-specific grants and donations, rather than AHF loans or other commercial means (such as would be the case with a revolving fund trust). Our organisation is managed by the voluntary work of the trustees and volunteer supporters, and we presently have no paid staff. In general, our operating costs are raised through grants and donations on a project-to-project basis. In order that the Trust may continue its conservation work, it is our aim to identify and pursue a number of larger historic building projects that will ultimately also provide the Trust with an appropriate income from rental revenue, course fees and support through grant-assisted educational/research programmes based in the academic study of garden and architectural history and archaeology. Since 1994, our projects have been distinguished by an emphasis on extensive scholarly historic research and archaeological investigation. This has been most markedly demonstrated in our latest project at the Cilwendeg Shell House in Pembrokeshire, for which we won the 2007 Georgian Group Architectural Awards in the special category of the ‘Restoration of a Georgian Garden Building’. 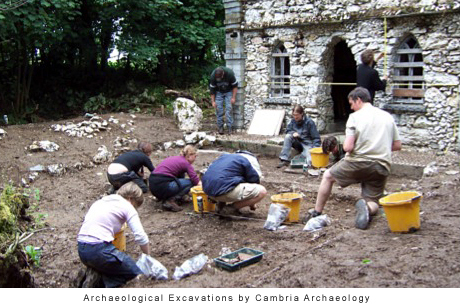 The main archaeological programme for this project was carried out by Cambria Archaeology (Dyfed Archaeological Trust) and was assisted by students from the Universities of Lancaster, York and Exeter. In addition, young students from the Clitheroe Grammar School participated in the fieldwork and helped to process and record the finds. It is our commitment to build on such positive experiences in the future and to fully exploit all the practical training and educational opportunities presented during the works and investigation phases of the projects and beyond. During 2008/2009 The Temple Trust shall begin to investigate potential new projects, and in particular buildings that would be large enough (or adaptable enough) to yield new low-key beneficial uses compatible with our own emerging educational and research activities, and in particular we are looking to develop an historic property in order to provide permanent accommodation for our reference collection of academic books and journals on the subjects of Garden and Architectural History. Presently, we aim to identify a medium sized project in the north of England or the Midlands, Wales, or possibly a larger project in the vicinity of London or the Home Counties. In 1996 The Temple Trust, in partnership with The London Borough of Richmond upon Thames, The Thames Landscape Strategy and The Hampton Riverside Trust, formed a plan to return David Garrick’s historic garden site to its 18th century appearance and to open the Shakespeare Temple to the public on scheduled days – with a cast of the Roubiliac statue of Shakespeare restored to its original niche and a permanent interpretive exhibition mounted within the building. The project architect was Francis Maude of Donald Insall Associates. A total of £133,000 was required for the capital works and this was found through an array of grant-making trusts and through the generosity of individual donors. In addition, The Temple Trust initiated and successfully raised a further £65,000 for a permanent endowment fund in order to assist in the future preservation of the historic building. Overall, a total of 24 trusts and numerous private donors made it possible for us to secure the future of this precious site. 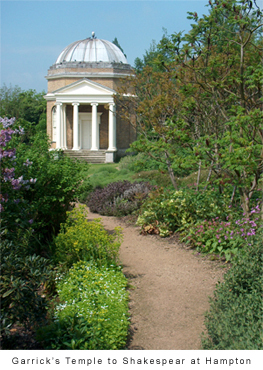 In 2006 The Temple Trust transferred responsibility for the contents of Garrick’s Temple to Shakespeare, as well as the endowment fund, to a newly formed dedicated local trust called The Garrick’s Temple to Shakespeare Trust. The new trustees work in close partnership with The London Borough of Richmond to manage the site. On the side of the Thames, less than a mile from Hampton Court Palace, stands an exquisite 18th century Temple, conceived in the ancient Ionic manner. This impressive garden building marks the place where David Garrick, the most celebrated actor/manager England has ever produced, chose to commemorate his idol, William Shakespeare. 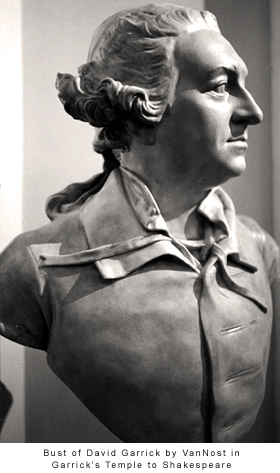 David Garrick was born in Hereford in 1717 of relatively humble Huguenot stock. 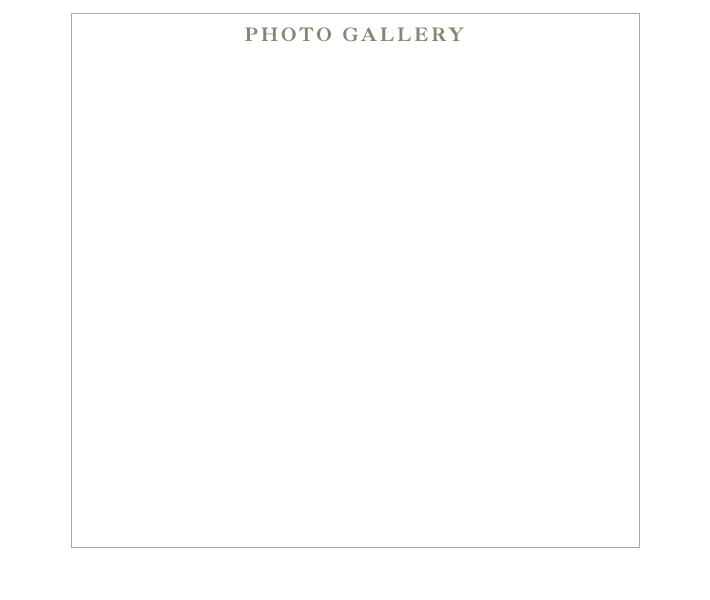 He rose to pre-eminence in the artistic and social life of 18th century London. Largely because of his brilliant performances in Shakespearean roles, his reputation grew with that of his hero. At the beginning of Garrick’s career, public perception of Shakespeare was that of an admirable though relatively obscure dramatist. Garrick brought interest in Shakespeare vibrantly back to life. In 1741 he took London by storm in his first role as an actor, in Richard III. His natural style of acting created a sensation in the theatre world and revolutionised acting technique thereafter. Over the years, through Garrick’s persistence and genuine enthusiasm for his idol, the public began to perceive Shakespeare almost as a god. Certainly during the span of his career Garrick can be credited with firmly establishing Shakespeare’s plays in the English theatrical repertoire. By the end of the 18th century, a significant start had been made, due very much to Garrick, towards restoring Shakespeare’s full and accurate texts. David Garrick acquired his Thames-side villa at Hampton in 1754 and promptly set about creating for himself and his wife Eva Maria a splendid country retreat befitting a man of his extraordinary status. Robert Adam helped him to enlarge the Villa and Capability Brown advised in improving the overall landscape. 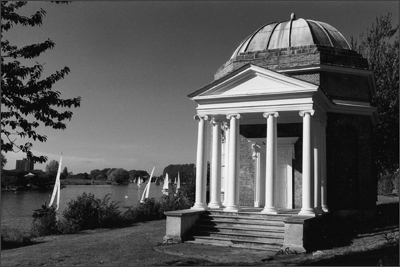 The focal point of Garrick’s lawn nearest the riverside was The Temple, built in 1755/6 and based loosely on Lord Burlington’s Ionic Temple at Chiswick. Horace Walpole, Garrick’s neighbour at Strawberry Hill, visited in October 1756, bringing with him a grove of Italian cypresses with which to embellish the dramatic setting of the monument to Shakespeare. Garrick allegedly also planted a mulberry, originally grown from a slip that he had cut from Shakespeare’s own ancient mulberry tree at Stratford during a visit in 1742. The fashionable riverside garden at Hampton was certainly much admired throughout the 18th century. Contemporary views show an undulating lawn with many fine trees and a serpentine path bordered by flowering shrubs. The Arcadian scene so moved Garrick’s long-standing friend Dr. Samuel Johnson that he is recorded as proclaiming: ‘Ah, David, it is the leaving of such places that makes a deathbed so terrible’. 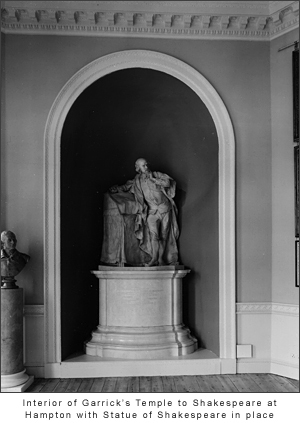 To preside over the interior Garrick commissioned a life-sized marble statue of Shakespeare in 1758 from the leading sculptor Louis Francois Robiliac. The actor almost certainly set the pose himself – showing the Bard at the precise moment of inspiration. The Hampton scene was generally one of informality and relaxation for the Garricks – far away from their hectic London life. In the summer of 1762 the painter Johann Zoffany immortalised the atmosphere of the garden with a painting of David and Eva Maria Garrick resting in front of The Temple. Through the open door of the building the sunlight streaming through the windows momentarily catches the outline of the figure of Shakespeare, reminding us of Garrick’s devotion to his idol. In the Shakespeare Temple wine often flowed freely as Garrick’s numerous visitors paid homage and were encouraged to write a verse in Shakespeare’s honour. These were placed at the foot of the statue, and the best of them often appeared anonymously in the London journals. This subtle form of publicity later served Garrick to great effect in promoting his ‘Shakespeare Jubilee’ in 1769 at Stratford-upon-Avon. Throughout the years Garrick used the Shakespeare Temple to entertain and to house his growing collection of relics associated with the life and career of the Bard. On May Day each year he would dispense money and cake to the poor children of Hampton from the Temple while seated next to the statue upon his very elaborate ‘President of the Shakespeare Club’ chair (supposedly designed by his friend William Hogarth). It is perhaps this act of charity that prompted the contemporary remark referring to Garrick as ‘Shakespeare’s Priest’. When Garrick died in 1779 he was buried, most appropriately, at the foot of the Shakespeare Monument in Westminster Abbey. By the terms of his Will he became an important early benefactor of the British Museum. After Eva Maria Garrick’s death in 1822 the Roubiliac statue of Shakespeare was removed from the Temple at Hampton and taken to the Museum, where it now remains. 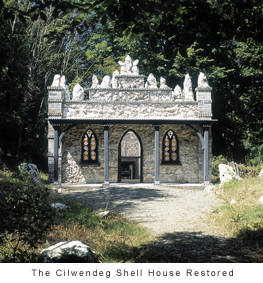 In 2003 The Temple Trust acquired The Cilwendeg Shell House near Boncath in Pembrokeshire, along with 1.27 acres of surrounding woodland for the purpose of restoring this fragile building and its historic setting for public benefit. The capital costs of the work amounted to £156,000 and this sum was raised through generous grants from The Heritage Lottery Fund, CADW, The Esmee Fairbairn Foundation, The Pilgrim Trust, The Leche Trust, The J. Paul Getty Jnr. Charitable Trust, The Ian Askew Trust and The Prince of Wales Charitable Trust. The project architect was Roger Clive-Powell, the Project Manager was Suzannah Fleming M.A. (Chairman, The Temple Trust), the Shellwork Conservator was Blott Kerr-Wilson and the Archaeological Programme was organised by G. Hughes of Cambria Archaeology (Dyfed Archaeological Trust). 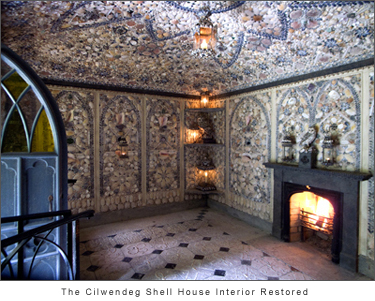 The Cilwendeg Shell House Hermitage is a most remarkable ornamental grotto, and a rare survival in West Wales. It was built in the late 1820s for Morgan Jones the Younger (1787-1840), who inherited the Cilwendeg estate upon the death of his uncle -- along with the huge income produced by the privately owned Skerries Lighthouse (located off the coast of Angelsey) – an income reckoned in 1820 to amount to £20,000 per annum. The elder Morgan Jones (1740-1826) was indeed enormously wealthy, but was observably lacking in urbane manners, and some thought him a ‘very strange man’ -- yet the same commentators also took note of his stealthy benevolence in all local affairs. In 1764 he completely rebuilt the long neglected medieval chapel called Capel Colman at the western perimeter of Cilwendeg Park – a church so remote and forgotten that in 1721 it was singled out as being fit ‘only for the solitary habitations of Owles and Jackdaws’. Seeking to reverse the trend, this man’s quiet generosity gave rise to the later legend that he had ‘tamed a wilderness’ at Cilwendeg. In the old Bardic tradition, he was one of the few Teifiside squires to merit an elegy many years after his death: Hen Gymro trwyadl oedd efe (he was a thorough Welshman) – ‘of ancient lineage and charitable works’. He was known locally for his distinctly ‘rustic disposition, reclusive habits, and exemplary piety’ and his nephew, Morgan Jones the Younger, subsequently created the Shell House in his uncle’s honour. This extraordinary woodland retreat was conceived in the picturesque taste of the era, and in addition to serving as a grateful tribute to the elder Jones, it was used by his family as a cool amusement in the summer months and a contemplative reading room in the depths of the winter. The younger Morgan Jones again rebuilt the Capel Colman Church in 1833-5 to the designs of one of his estate tenants, Daniel Davies of Blaenpwllddu Farm. Morgan Jones Jr. was also largely responsible for enlarging the Cilwendeg Mansion (probably designed by architect Edward Haycock) as well as building an array of estate and ornamental farm buildings including a laundry, a dairy, a farmhouse, a counting house, a barn, stables, a pigeon house, cowsheds and cart sheds, lodges, a bath house and, most remarkably, the exquisite shell house. The design of many of these buildings was of a high quality, blending utility with amenity to produce a working agricultural estate that was also of considerable elegance. The Cilwendeg Shell House it is at first astonishing in its shimmering whiteness. On drawing closer it emits an eerie sparkle, and seems to signal to us ‘like a remote lighthouse in a dark sea’! Here the particular hand of a reclusive hermit is made implicit with the lavish use of mainly native materials. Constructed with grey Cilgerran stone and faced with large roughly hewn white quartz from local sources, the building emerges out of the romantic gloom of its surroundings a glittering pavilion – full of Gothic detailing and rustic ornament. Moreover, it appears to embody the historical name of ‘Cilwendeg’, derived from cily wann (or wern) deg, meaning ‘the fair white, or light, nook’. The decorative scheme of the interior walls consists of a profusion of native seashells, minerals and coloured glass fragments arranged in primitive patterns and impressed into lime mortar panels. 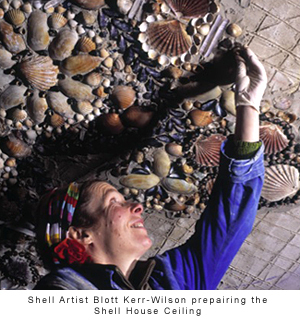 The only exotics are the large Queen Conch shells that form a centre-piece in each wall panel -- a number of these had to be replaced during the restoration in 2004 and were donated to the project by local residents (each conch arrived with its own highly interesting anecdote or family history). Both the ceiling and the external slate and timber verandah have been re-created based on archaeological findings. The preserved floor is laid out in a delicate design using the knucklebones of sheep and oxen – the useful by-product of a once thriving estate farm. It is believed the ladies of Cilwendeg Mansion devised the original patterns for the interior decoration. Click the icons below to download the following PDF files. The Cilwendeg Shell House and the Capel Colman Church are both open for public viewing on Thursdays from the first week in April through the last week in September (9:00 A.M. to 6:00 P.M.). Admission is free to each building but site donations are always warmly welcomed. Group tours (10 or more persons please) may be accommodated at other times by prior arrangement for a minimum donation of £1 (per person) for each building -- or £1.50 for a tour of both buildings. For more information on the conservation project of the Cilwendeg Shell House and Woodland Walk or the ongoing work of The Temple Trust please ring the trust line on: 0207-482-6171. To arrange a group tour of The Shell House and/or The Capel Colman Church please write to: Mrs. Patricia Ford, Dol-y-Frenni, Boncath, Pembrokeshire SA37 0JS. Alternatively, enquiries may be made via e-mail at: LesTricia@aol.com. Cilwendeg Park is located to the east of the village of Boncath in Pembrokeshire off the B4332 (between Boncath and Newchapel). Vehicular access to the Shell House car park is restricted to cars only (vans and buses may not enter at any time). Visitors are requested to follow the signs from the car park to the Shell House. The Capel Colman Church is also located to the south of the B4332 via the Capel Colman Road [note: the turning into Capel Colman Road from the B4332 is a few hundred metres to the west of the entrance into Cilwendeg Park]. There is a marked public footpath between the Capel Colman Church and the Shell House car park. Visitors wishing to use the public footpath are advised to consult an OS map to avoid straying from the path within Cilwendeg Park. Visitors will please note that the Cilwendeg Farm is private property and we ask that the privacy of the residents is respected at all times.